Create a great wave and wake all summer long with the Freemotion Single 540lb Ballast Bag. 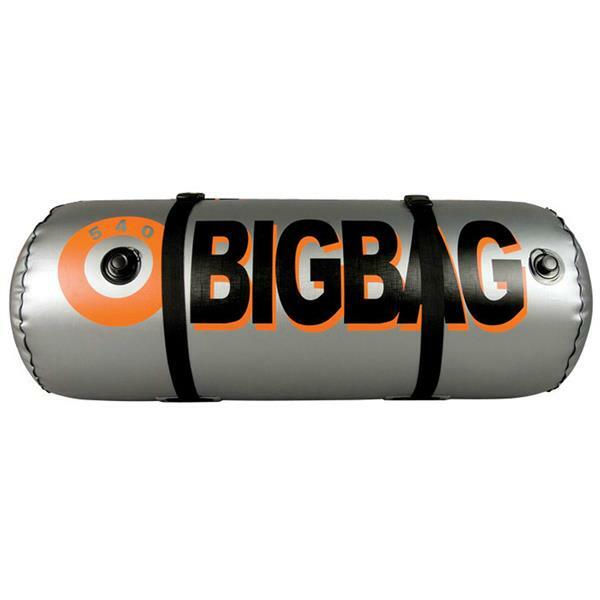 The Single 540lb ballast bag is a heavy duty bag crafted out of 30 gauge PVC giving it a strong, durable outer shell. This bag has electronically welded seams to ensure it will hold up summer after summer. This bag is equipped with one link valve that is designed for filling as well as cleaning. Measuring at 50 inches in length and 20 inches in diameter, the Freemotion Single can hold up to 540 pounds of water weight and can be adjusted as needed. This summer create a wave that everyone can have fun on with the Freemotion Single 540lb Ballast Bag. Compatible with straight line pump, great price for the pounds you get and compact shape fits bow floor well. How do you pump the water out of the ballast bag? You will want to take the bottom end of a Straight Line or Freemotion pump and attach it to the port on the bag and toss the end of the tube into the water. Then, you will flip the on switch, and the bag will drain the same way as it filled.